Why is indoor air quality in offices important? We have put a lot of focus on air quality for our executive office suites build-out. Early on in our design process we decided to use either a low or no-VOC paint. Yes, it’s good for the environment (reduces smog and ozone pollution) but even more important it is good for your health. “VOCs” are Volatile Organic Compounds and are loaded in traditional paint. VOCs are chemicals like benzene, toluene, vinyl chloride, formaldehyde, ethyl and mercury. These chemicals are what you would call “new paint smell”. Breathing in these chemicals can have short- and long-term adverse health effects. In a residential application, it is these smells which cause you to leave your house for a few days after you paint. These smells continue to off-gas for a long time after you can no longer detect them. According to the EPA, “Americans spend about 90% of their time indoors, where concentrations of pollutants are often much higher than outdoors. Risk assessment and risk management studies have found that indoor environmental pollution is among the greatest risks to human health”. The EPA’s study further disclosed that “Conventional paints contain VOCs that vaporize, dispersing into the air we breathe. Exposure to VOCs can result in irritation of the eyes, nose, and skin; respiratory problems; headaches; nausea; and dizziness.” Workers are more productive in non-toxic environments, less prone to illness, and employees feel that their employer cares about their personal health. When evaluating the decision to use low or no-VOC paint, we had two criteria. Firstly, was cost. The cost of low or no-VOC paint is about fifty cents more per gallon than a high quality latex paint. That is really insignificant and makes one wonder “why do paint manufacturers make paint that contain VOCs?”. If everyone knew how harmful traditional paints are, I don’t think anyone would want to use them anymore. I paid about $24 per gallon for the Sherwin Williams Harmony paint. The other area of importance to us is performance and maintenance. We checked to make sure the paint is scrub resistant, washable, and does not yellow over time. The paint that we selected is Sherwin Williams Harmony. The paint meets the GS-11 standard and qualifies for LEED certified projects. While the painters where applying the primer and paint I was amazed when I walked into one of the offices and could barely detect any paint smell. Not only is this good for the future tenants that will occupy the space, it is also good for the existing tenants that are currently working in the building. For any future projects, home or office, I will definitely use a no-VOC paint. https://thinkspace.com/wp-content/uploads/2013/11/website-thinkspace-logo-teal-155x69.png 0 0 Peter Chee https://thinkspace.com/wp-content/uploads/2013/11/website-thinkspace-logo-teal-155x69.png Peter Chee2008-04-10 22:17:202009-12-19 02:50:37Why is indoor air quality in offices important? Tenant improvements can require a new company moving into an existing building to create a lot of demolition debris. In order to build out our Thinkspace executive office suites, 5.79 tons or 11,580 pounds of demolition debris was removed. The number of tons could have been much greater, but one of our goals was to reuse any and all existing materials for our new build out. Wood Derived Fuel, Alternate Daily Cover, Processed Planting Medium, Aggregate Feedstock, Bulk Steel to be processed, Prepared Steel, Scrap Aluminum, Scrap Copper Wire & Pipe, P.V.C. – Plastic Siding, L.D.P.E. – Plastic Film, H.D.P.E. – Plastic, Carpeting, Carpet Pad, Cardboard, Gypsum Rock, Designer Mulch, Pulp Furnish, CHEP Pallets for Reuse, Electronics and Fluorescent Lights, Non-Recyclable Residuals. Preliminary results show that we have exceeded our goal of 95%. Our potential LEED recycling rate is 97.7%. If we continue to maintain our recycling level throughout the entire build out, we will earn an extra LEED point for Innovation in Design. I prefer to no longer use the term “demolition” as the process really should be called “deconstruction”. In order to save existing door frames, trim, doors, etc, a lot of care is given to removing these items. Also, the process of meticulously sorting and piling up debris is not easy. Because there is so much additional labor to getting the debris recycled as well as additional attention air quality and dust control, I had to compare what the cost difference is versus going straight to the landfill. It was definitely more expensive to recycle the debris rather than dump it in the landfill – it cost approximately 2% more. Total demolition cost was about $2.06 per SF. Being “green” is not easy or cheap, but the end result of having 97.7% of the material recycled is well worth the effort and money. Up front, doing a LEED Certified for Commercial Interiors project is not cheaper than a normal tenant improvement project but the payback is huge in terms of air quality, healthy work environment, energy savings and knowing that tons of debris can be recycled instead of ending up in a landfill. We have selected furniture for the Thinkspace office and the one piece that I’m most excited about is the Phillippe Starck designed Emeco stool. We have purchased these in bar stool height (14″ W x 14″ D x 30″) for the cyber cafe. The stool is produced in the United States and is environmentally friendly. 80% of the aluminum is recycled. Half is post consumer (soft drink cans) and half is postindustrial (manufacturing scrap). The Emeco craftsman grind each weld flush to give it a seemless appearance. The aluminum is three times stronger than steel and has a estimated life of 150 years. It also comes with a life-time warranty. 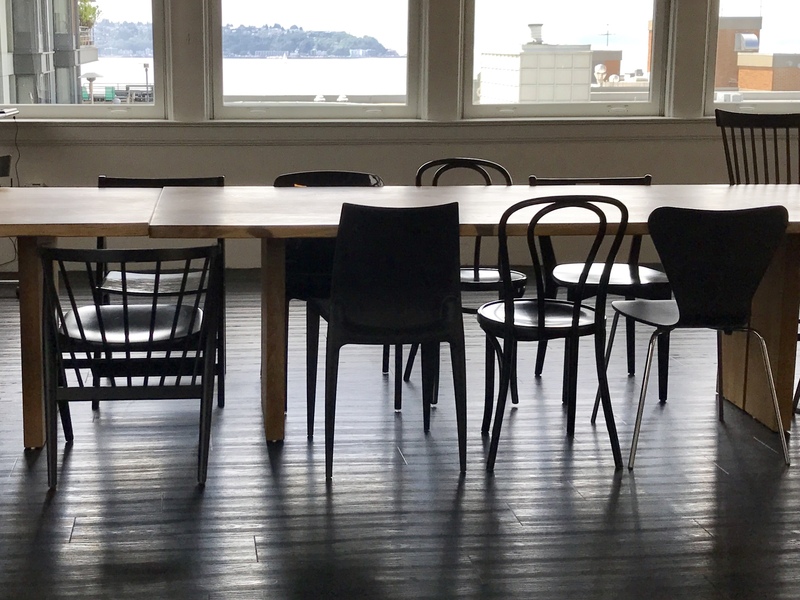 Emeco started their business designing chairs for the U.S. Navy and one of the design requirements was that it be torpedo proof! If you have the time, you should check out the video on YouTube that shows someone taking an Emeco chair and catapulting it into a brick wall 50 times. It pretty much survives with very little damage! By selecting environmentally sound product choices we expect it to provide us credit toward our LEED certification. Also, there’s no off gassing because aluminum does not emit VOCs or aldehydes in any measurable concentration. The things that I really like about this stool is the excellent craftsmanship, modern, elegant, attractive design and the fact that it costs about the same price as a nice stool made of plastic or wood. In addition to using HEPA air purifiers to maintain air quality during the demolition of the existing space, we also took a close look at the existing HVAC system. Inside the space we have existing VAV (variable air volume) boxes. VAV boxes are used to zone areas in large commercial buildings and also contribute significantly to the efficiency of the HVAC system. On our existing VAV boxes we added additional filter media to ensure that we were not redistributing dust and other particulates in the air to other areas of the floor space. 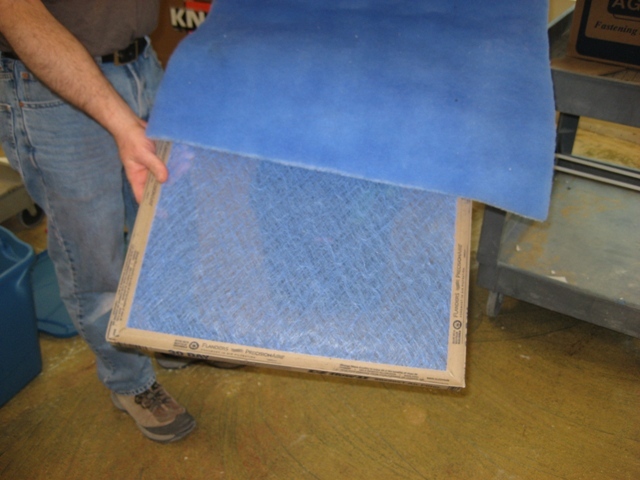 We also used box filters and an extra layer of filter media on all return ducts. 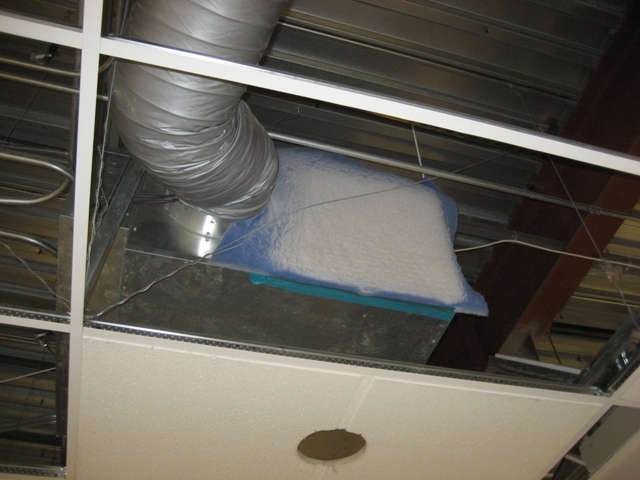 This ensures that we were not bringing poluted air back into the HVAC system and redistrubuting the air to other areas of the building where other tenants would be impacted. Electricity is one of the largest expenses in a commercial office building. Whether you’re the building owner or a tenant that is occupying a large space, it is good business to look for ways to reduce your energy consumption. For a building owner it means lower utility costs, a more energy efficient, and desirable building. For a tenant, if you have a triple net lease (NNN), that means lower operating costs. 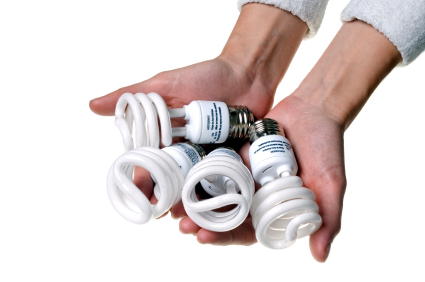 For our project, we are looking to reduce our electricity consumption by at least 30%. In addition to receiving the benefits listed above, we will also earn LEED points toward our certification. 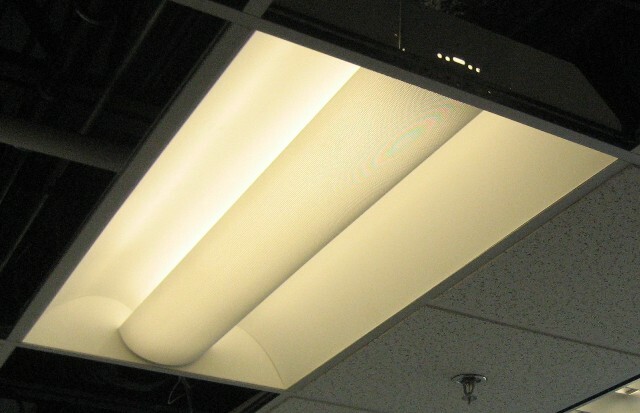 One way we are reducing energy is by using energy efficient commercial light fixtures. 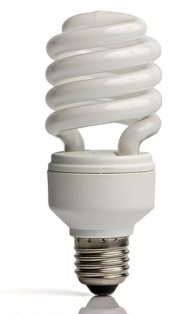 Initially, I thought that energy efficient light would be poor light quality with an ugly commercial looking lense cover. I was pleasantly surprised to find this is not true. The light fixture we selected is attractive with a contemporary appearance. The smart design uses both a high performance ballast and lamp which provides a combination of direct and indirect light. What I really like about the light fixture is that it looks great, the fluorescent lamps are not visible, and feels like more comfortable light with no glare.